Ecocriticism explores the ways in which we imagine and portray the relationship between humans and the environment in all areas of cultural production, from Wordsworth and Thoreau through to Google Earth, J.M. Coetzee and Werner Herzog’s Grizzly Man. Featuring a newly rewritten chapter on animal studies, and considering queer and postcolonial ecocriticism and the impact of globalisation, this fully updated second edition also presents a glossary of terms and suggestions for further reading in print and online. 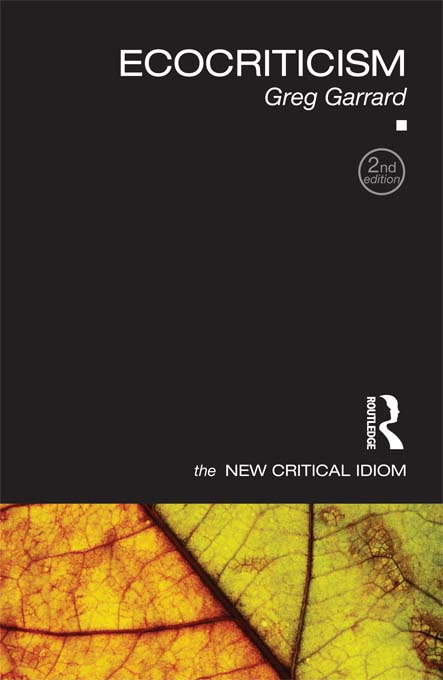 Concise, clear, and authoritative, Ecocriticism offers the ideal introduction to this crucial subject for students of literary and cultural studies. Greg Garrard is a senior lecturer in English Literature at Bath Spa University, UK.